Learn more about the Integrity Coaching Associate team. 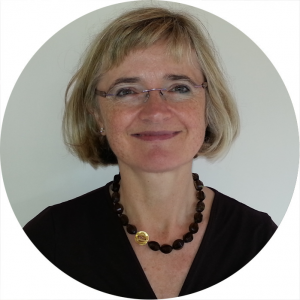 Justine has been an accredited executive coach with the International Coaching Federation since 2007 and her experience as a coach spans both the private and public sector. She is experienced in helping a wide range of leaders develop their strengths and enhance their performance, personal impact and professional presence. 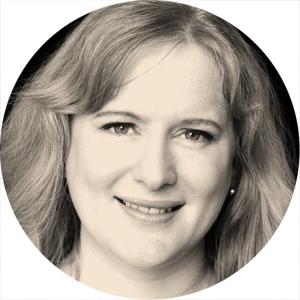 Her many years as an internal communications specialist working in large organisations such as the Home Office, EDF Energy and RSA means that she understands the array of pressures that people with many stakeholders and many objectives can face. As well as coaching managers and leaders of all levels on a wide range of business issues, her knowledge of body language enables her to specifically coach and train people to manage the impression they make. Justine helps leaders to easily build rapport with their teams and stakeholders and adapt their communication style as needed. Her style is warm, fun, supportive and challenging as she works with people to achieve transformational change. I am inspired by Susan Jeffers. She was a kind, empowering author who showed that by looking at things in a different way, you can face any challenge. Reading her book many years ago started me on the journey that eventually led me to become a coach. What is a “professional presence”? And how can school leaders transform their own presence in their role? Kirstie McLachlan started her professional life as a Social Worker, later working in the NHS. During her career in the health service Kirstie worked in community health service projects in the West of Scotland before moving to health service management in London. Kirstie has led public consultations on proposed NHS changes, headed up staff consultations and worked with union and patient representatives whilst working to government targets and budget cuts. She understands public sector pressures and considers the breadth and depth of her management experience invaluable to her as a coach. Kirstie’s training as an Executive Coach enabled the formal skill development of her natural coaching style and she now coaches leaders and senior managers on a one to one and team basis. 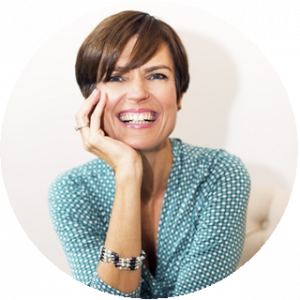 She has a particular interest in wellbeing and enjoys introducing quick and simple mindfulness practices into her coaching. I’m inspired by people who live in alignment with their values, particularly when they do it with grace and humour; happily there are many. Based in the West Country near Bristol, he is an Associate Member of the Governing Body of a village primary school (of which he was a governor for eight years) and he is in advanced training in Transactional Analysis Counselling and Psychotherapy at the Berne Institute, near Nottingham. …the words and wisdom of Parker J. Palmer, helping us to ‘re-integrate the inner work with the life-giving outer work’ and found our profession upon identity and integrity. In a short interview, Tim discusses the emerging research into “Learning Power” and how the findings can be used to benefit both Schools and their leaders. 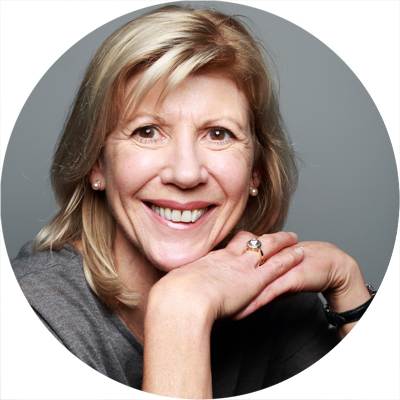 Barbara is a commercially focused Chartered Occupational Psychologist and coach with more than seventeen years consultancy experience operating at all levels in an organisation from front line teams to senior management level within the public and blue chip private sectors. She has lived and worked in Asia as an HR Consultant for a multi-national organisation. Barbara has considerable experience coaching senior managers from a diverse range of backgrounds (business/functional, cultural, age etc). Latterly, spent 6 years working closely with members of a global senior level talent pool within a large multi-national organisation; helping individuals realise their potential and create value for the organisation. She is foten described by clients as someone who demonstrates strong relational skills and a sound understanding of their job challenges with an ability to facilitate resolution of the stated issues. 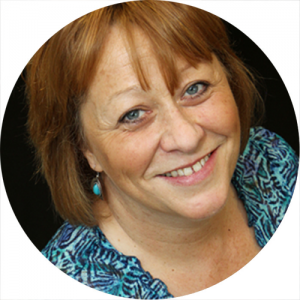 Barbara is passionate about facilitating another’s development; creating space for reflection and growth of self awareness and ultimately allowing the individual to nurture their aspirations in pursuit of personal goals. A quote I read from the writings of George Bernard Shaw: The people who get on in this world are the people who get up and look for the circumstances they want, and, if they can’t find them, make them. Talent Management is an organisation’s ability to recruit, retain and produce the most talented employees – but how can this be done in a School context? Steve has never lost his belief in education as a powerful vehicle to promote growth, both for children and young people and also for those working with them. His involvement in and commitment to education has seen him hold a variety of roles, including classteacher, behaviour support teacher and leading a school improvement team. Throughout this time he has focused on developing his knowledge and understanding of what makes people ‘tick’ and finding creative ways to share this with hard-pressed school staff and leaders. He has a particular interest in helping leaders and leadership teams to gain a greater appreciation of what they do well/well enough, and to use this as a basis for planning and supporting further growth. The testimony that perhaps best encapsulates how Steve works comes from the principal of a school that was in special measures who spoke of how “(Steve’s) way of working with colleagues is subtle and takes people from where they currently are as a starting point. Judi is a leadership and personal development coach. She has had three careers including teaching, working in the not-for-profit sector and more recently coaching. Her career choices are linked by a passion to help others. Over the years she learnt that leadership starts with self-leadership and that the most effective way to work with others is to be open, authentic and objective. Her time in the not-for-profit sector included being CEO of the British Dyslexia Association as well as the CEO of a consultancy that worked into the not-for-profit sector. During this time she completed an MBA and later MA in Psychological Coaching. Over the years, Judi has worked closely with government, especially the former DCSF. She was also seconded into Barclays to become Head of Community Affairs and later spent a year in Tanzania volunteering at a school for deaf children. She is the Chair of The Mulberry Centre; a SW London charity that supports anyone affected by cancer. Judi values diversity, including embracing difference and diversity of experience. She relishes working with a variety of clients who include teachers, actors, artists, CEOs and even a space scientist. She sees herself as a facilitator providing a space for the client to explore and discover for themselves. Nelson Mandela: As I walked out the door toward the gate that would lead to my freedom, I knew if I didn’t leave my bitterness and hatred behind, I’d still be in prison. What is meant by “mindfulness” and how can schools and their leaders benefit from developing a mindful practice? Giles began his career as a secondary teacher. He then moved in to work in specialist contexts, including off-site provision for youngsters excluded from school or at risk of custody. His last post in LA work was as Head of the Integrated Support Service in Merton, south London. For the past dozen years, he has been working around the country, teaching, training, consulting and advising. Fifteen years ago, he began training in Educational Transactional Analysis (EdTA), a psychoanalytic theory which provides a useful educational psychology for making sense of the relational aspects of teaching and learning. It can also be extended to the theme of developing school leadership and has been incorporated in some schools to inform the how and why of education, alongside improving the quality of relationships in classrooms and staff rooms. Since then, Giles has been working as a Teaching and Supervising Transactional Analyst (TSTA), a role that involves offering specific training and support to trainees. In addition, he has a Masters in School and College Management, Post-Graduate Diploma in SEN and a Masters in English Literature. Giles writes on a range of themes about learning, schooling and the relational aspects of school life. Outside of working in schools he runs a small farm in east Suffolk. His work is underpinned by three core guiding principles; a commitment to creating a better society, giving due regard to the soil and making space for the soul. Some great teachers both past and present. I continue to be astonished at just how powerful educators can be in touching the lives of their students. 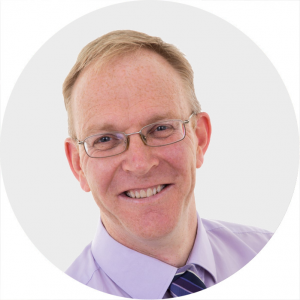 In this expert interview, Giles explains why he believes that new Headteachers need a unique form of support, that is rarely made available to them. Mary Evans is an Executive Coach with a particular interest in Resilience. She has 28 years of senior management experience in 5 local authorities. Most recently this was as Deputy Director of Children’s Services in Wandsworth Borough Council. She started her career with 10 years of teaching, including time as a Deputy and Acting Headteacher in a new primary school. 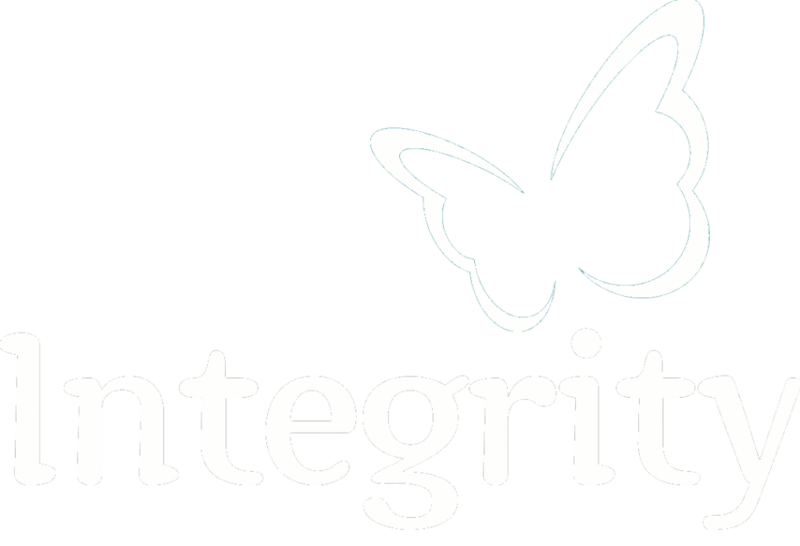 Training from Integrity Coaching was Mary’s introduction to coaching. She went on to gain a Certificate and then a Practitioner Diploma from the Academy of Executive Coaching. She then passed the Resilience Accreditation Programme, from the Resilience Engine, with AoEC. Since April 2014 Mary has been self employed, coaching senior staff in a range of Local Authorities and headteachers. She has an outcome focus which is informed by her professional background. Her style combines challenge with empathy and support. She is clear sighted and pragmatic with a sensitive, intuitive approach. Mary understands the isolation of many senior managers and the range of challenges and complexity they face. 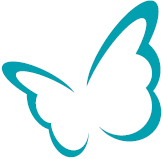 She is particularly interested in working with those facing change or transition, who want to manage better their professional demands in a way which does not compromise their physical and mental health and personal wellbeing. On a weekly basis, Mary does voluntary coaching with a cancer support charity, which brings her into contact with a wide range of different people and life situations. She sees this as a key means of widening and strengthening her coaching practice. Mary is also a Trustee and Vice Chair of Welcare, a child and family support charity. She is restored through connections with nature, a mix of exercise and through trying to paint watercolours. Exhibitions, plays and reading are some of the ways she restores balance in her own life. Paintings, drama, dance and novels which connect beyond the intellectual level and which draw out creative, emotional and spiritual responses and engage me as a whole person. In her expert interview, Mary Evans explores how school leaders can sustain and safeguard their resilience amidst the challenges of the role. Thérèse is a highly sought after and professionally trained coach, mentor, coach trainer and educational consultant with 20 years’ experience. She has held International Coach Federation Certification since 2006 and is an Institute of Leadership and Management (ILM) accredited coach and trainer, DiSC Behavioural Styles Practitioner and Action Learning Set facilitator. She coaches individuals and teams all over the world, from the USA, Sri Lanka, New Zealand, Europe to nationally across the UK. She specialises in Coaching, Leadership, Management Development and Educational Consulting. Thérèse advises schools and organisations nationally and internationally on all aspects of behaviour management, wellbeing, leadership and organisational development. Her work focuses on building positive relationships in organisations through coaching, communication, behavioural assessments programmes and strong leadership to maximise performance. Her work has been featured in a Department for Education, anti-bullying video and numerous UK publications and Education journals. She is also a writer and author of three published books. Thérèse enjoys her charity work with Arbonne International, whom she has been working with, on the board of trustees, since 2012 when they launched their charitable foundation in the UK. The foundation’s mission is to improve the confidence and self-esteem of teen boys and girls. 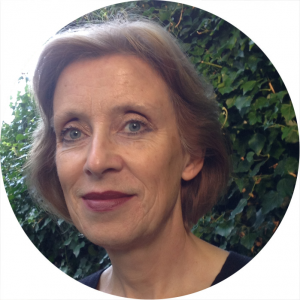 Expert Interview with Thérèse Hoyle – How can School Leaders improve Staff Well-being? Samantha is an Executive coach and Head teacher. She has worked in education for the past thirty years – 20 years of which as a Head teacher. She has been fortunate to have had the opportunity to work in Westminster, Barnet and Hertfordshire. Her career has been full and varied and she has managed to keep joy in her work at school and in her coaching practice. Samantha has always valued professional development and realised the potential of coaching on both her personal and professional development when she was coached as a Head. She trained as an executive coach with the AOEC in 2015. Samantha is now an accredited resilience practitioner. She understands the pressures that schools are facing right now and currently works as a coach and Co-Head. Samantha works with clients to help them realise their potential, using her expertise to help build resilience in self and in teams. Samantha seeks to live a creative life. She knits, sews, gardens and writes short stories. Children’s writers and one quote in particular from Antoine de Saint-Exupery – The Little Prince: “It is only with the heart that you can see rightly; what is essential is invisible to the eye.” I believe that most valuable things in life cannot be seen – love, friendship, hope, trust, compassion and integrity, yet these are the most essential requirements to achieving balance in our lives.